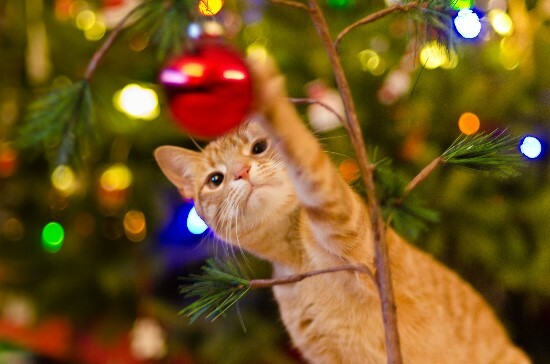 Cat touching a Christmas ornament. Image source. 1. China Marks Transgender Day of Remembrance With National Survey (posted November 20) [content note: anti-trans violence] "Based on more than 2,000 valid responses — the largest such survey to date — the Beijing LGBT Center’s report points to a lack of access to medical treatment, domestic violence, campus bullying, and workplace discrimination as issues that take a heavy toll on the lives of transgender and gender-nonconforming people in China." Also their video is worth watching. 2. Shocking sexual abuse allegations at a kindergarten in Beijing has China on edge (posted November 24) [content note: child sexual abuse] "On Friday, Beijing’s major newspapers barely mentioned the case. Yet the allegations still went viral on social media websites in China, where decades of draconian family-planning policies have engendered a society-wide obsession with early-childhood education, and pervasive censorship and corruption have engendered a deficit of social trust." 3. Wishful Thinking, Forced Intimacy, and The Nashville Statement (posted November 15) "Due to my work, I read a recent article at John Piper’s website by Nashville Statement signer Rosaria Butterfield. In it, she gives some of the worst advice I have ever read to a woman in a mixed orientation marriage." 4. Nazis Are Just Like You and Me, Except They're Nazis (posted November 25) This is a parody, and it's HILARIOUS. 5. Translating Away Justice (posted November 20) "The noun, for example, is usually translated as 'righteousness,' not as 'justice.'" As a bible nerd, I am ANGRY about this. All bible nerds should read this post. 6. #ChurchToo: abuse survivors speak out about harassment in their religious communities (posted November 22) [content note: sexual abuse] "It’s certainly true that many religious communities’ insularity, combined with their frequent focus on women’s sexual purity, renders these spaces as particularly fertile ground for sexual harassment or abuse." Yes. Focus on women's "sexual purity" is DIRECTLY CONNECTED to abuse- and that's something I never would have suspected back when I was in purity culture. See, "purity" teaching creates an environment where victims are ONLY able to come forward and be believed and be treated as innocent and deserving of sympathy and justice IF they have NEVER BROKEN ANY OF THE PURITY RULES. 7. The Nationalist's Delusion (posted November 20) "What I found was that Trump embodied his supporters’ most profound beliefs—combining an insistence that discriminatory policies were necessary with vehement denials that his policies would discriminate and absolute outrage that the question would even be asked." And this post based on the above article: Blasphemy. "Many white churches support white nationalism and Trumpism. Other white churches allow the option of not supporting it. But it is only that — an option, one that is permitted and tolerated, but never demanded. This, too, is blasphemy." 8. If you believe that only “bad” theology and twisted scripture could result in the sort of abuse #churchtoo describes you must also believe that the following are all examples of such bad theology: (posted November 28) A must-read Twitter thread.